A food industry client turned to us to upgrade a servo control system. This client, in the fruit irradiation industry, could not tolerate a lengthy upgrade process, so this project needed to be completed in a timely manner. We were able to retrofit their system by replacing an obsolete Allen Bradley 1394 servo controller with an Allen Bradley Kinetix 6000 servo control system. With this retrofit the client realized an increase in material flow using motion control. The new AB Kinetix 6000 servo control and axes module was integrated into the existing system that also included a Pilz safety PLC system. The new system also included an AB ControlLogix PLC and associated inputs/outputs. 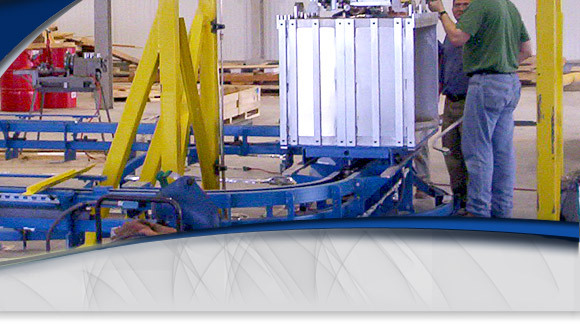 This system collected conveyor speeds, torque, current, and product positioning with a speed range of 0.5 - 20 FPM. We produced a system with tightest tolerances to .01 FPM. This project required us to pre-build the replacement servo controls onto a subpanel, then install the unit in the facility within 6 weeks. If you would like to learn more about this retrofit project, please see the table below or feel free to contact us.